Canadian filmmaker Pierre Falardeau, an outspoken advocate of independence for Quebec, directed this historical drama based on events stemming from the Rebellion of 1837, an early and ill-fated attempt by French Canadians to win their sovereignty. In 1837, Quebecois rebels, chafing under what they believed was exploitation and abuse at the hands of the British-backed Montreal government, attempted to stage a revolution, but the rebels were met with deadly force by British troops. 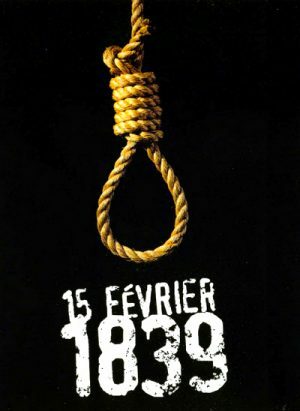 Marie-Thomas De Lorimier (Luc Picard) and Charles Hindelang (Frederic Gilles), two leaders of the Rebellion of 1837, were captured and sentenced to death, and the bulk of 15 Fevrier 1839 follows the events of their final day on Earth as they await execution in a prison in Montreal.